Weird is for everyone. Join us as we celebrate making weird a way of life in our amazing city. Connect with other Grade A Oddballs. Rub elbows, attend events for free, be counted among the mad. There are many sponsorship opportunities with Weird Portland United. We’ve seriously got a lot going on this year. 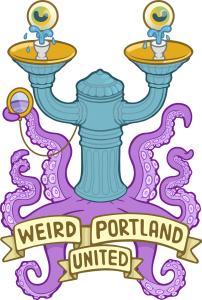 Reach out to a member of our team and we can share the many ways your company or brand can help us Keep Portland Weird.